Is it possible to fully and completely eliminate back taxes, penalties, and interest at a discount? Yes. The Internal Revenue Service can reduce the amount that a taxpayer owes through a program known as the IRS Offer in Compromise (OIC). When your reason for submitting an offer is “doubt as to collectability,” you are telling the IRS that you have insufficient assets and income to pay the full amount. You must prove that you could never pay the full amount of tax owed. Generally, before the IRS can consider a doubt as to collectability offer, the taxpayer must not be able to pay the taxes in full either by liquidating assets or through an installment agreement. Grounds for an Offer in Compromise may exist when you are claiming that the assessed tax liability is incorrect. Legitimate doubt exists if you qualify for innocent spouse relief, you did not appeal a tax agent’s incorrect assessment, or the IRS prepared an inaccurate tax return. The goal is to prove to the IRS that you are not legally responsible for the tax. An Effective Tax Administration (ETA) offer is made when you agree with the amount of taxes owed and have sufficient assets to pay the full amount, but because of an exceptional circumstance, requiring full payment would cause an economic hardship or would be unfair. If you are requesting an ETA offer, you must submit a collection information statement, and a written narrative explaining your special circumstances, and how payment of the full would create an economic hardship or be unfair. Due to lack of experience dealing with the IRS, some taxpayers offer too much. The key is to determine the least amount that the IRS will accept before you make the offer. Despite the mass media suggesting otherwise, an Offer in Compromise has a low chance of success. In 2010, only 20% of Offers were accepted. The reason why we have a high acceptance rate is because we do not submit an Offer in Compromise unless you are a viable candidate. An Offer in Compromise is not for everyone and can actually have adverse consequences. Filing an Offer in Compromise extends the statute of limitations on collections and can extend the statute of limitations period on assessment when attempting to discharge a tax through bankruptcy. 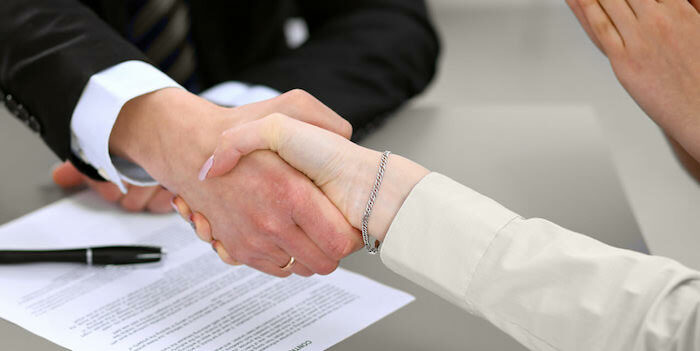 At the Law Officer of Todd S. Unger, Esq., LLC, our analysis does not start with the Offer in Compromise; rather, we take a holistic approach and determine the best course of action. 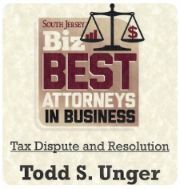 Todd S. Unger, Esq., provides consultations to help assess taxpayers facing audits and other federal tax controversy matters in both New Jersey and New York. To schedule your confidential consultation with a qualified New Jersey tax attorney, call us today at (877) 544-4743.